Spain , since the first quarter of 2014 a slow recovery has been taking place. LA crisis’ hit Spain hard and, for many, where it hurt most. Property prices have plunged by 40% on average nationwide since 2008, hitting rock-bottom at the end of 2013, leaving many homeowners with negative equity, the prospect of decades of debt, and at risk of repossession. driving prices and sales up. More than 365,500 homes were bought in Spain in 2014, a jump of 21.6% compared to 2013. While far from the record 955,000 properties sold nationwide in 2006 at the height of the boom, the trend looks set to continue, albeit at a steadier rate than before. In the first eight months of 2015, the number of homes that changed hands nationwide climbed by 12%, year-on-year. 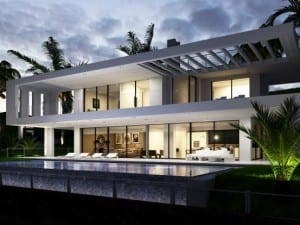 House sales Spain-wide rose by over 24% in August, compared to the same month the previous year, reaching a total of 29,369 transactions, according to the latest data from the National Statistics Institute. Equally, there is still – and will be, for quite some time – a sizeable surplus of less desirable housing that languishes unsold, much of it built just before the rollercoaster started heading downhill.